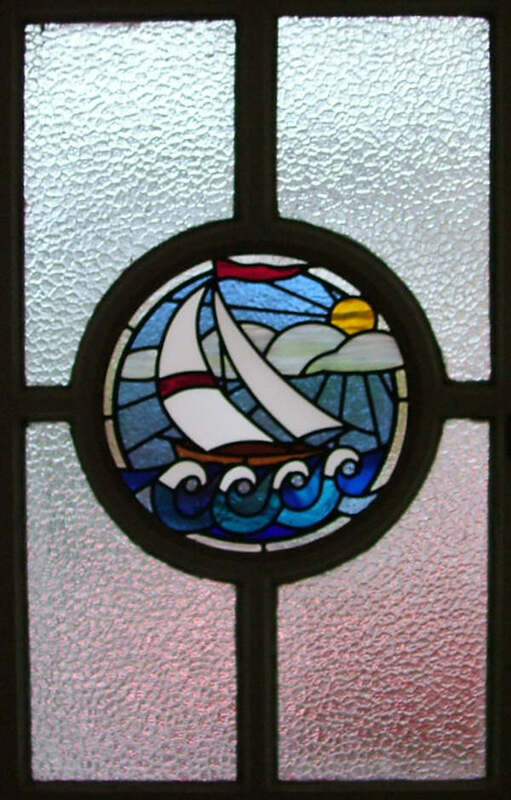 Yacht in Leaded Glass, Wimbledon, London. My customers are very keen sailors and spend a lot of time on the sea. All the front entrance windows at their Wimbledon home are glazed in obscured glass. To make stained glass panels for all the windows at once would have been very expensive so they decided to start with a single panel of leaded glass. 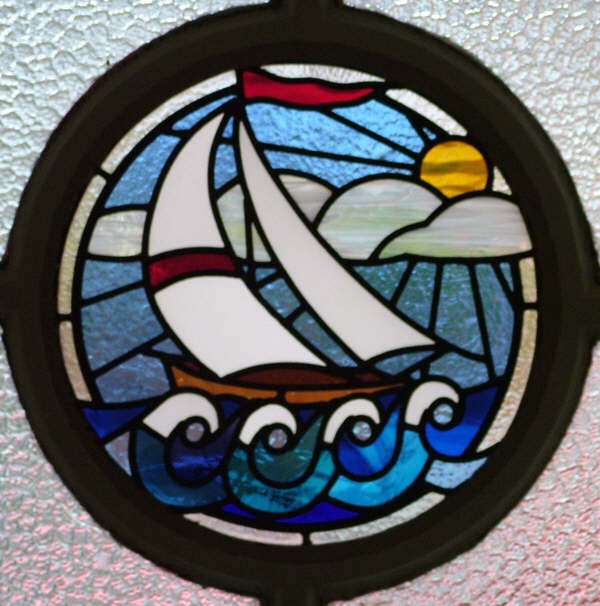 I designed this window with a yacht sailing across a choppy sea. I used a mixture of antique glass for the sea and white wispy glass to represent the clouds scudding across the sun.